Orthopedic Associates of Lancaster (OAL) is a team of 10 surgeons specializing in the diagnosis and treatment of all orthopedic conditions and injuries: Hand, Shoulder, Spine, Trauma, Total Joint Replacement, Pediatrics, Sports Medicine, and Foot & Ankle. The new medical center offers easy access with ample adjacent parking. 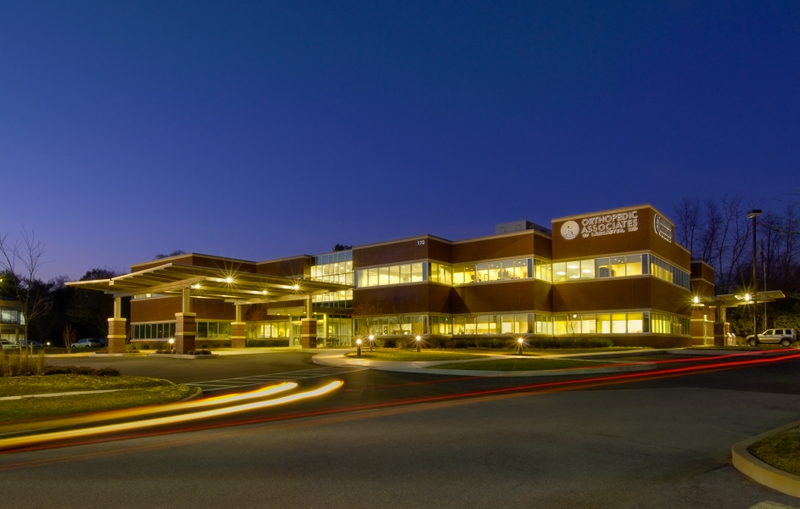 The 38,000 square foot state-of-the-art facility contains 19 examination and consult rooms; physical therapy gym, specially designed for athletes' rehabilitation; eight casting rooms; largest Tesla Open MRI in Lancaster County; three fully digital x-ray rooms. Design of building included coordination of building shell components and systems with the surgery center architect for 10,000 sqaure-foot ambulatory surgery center.